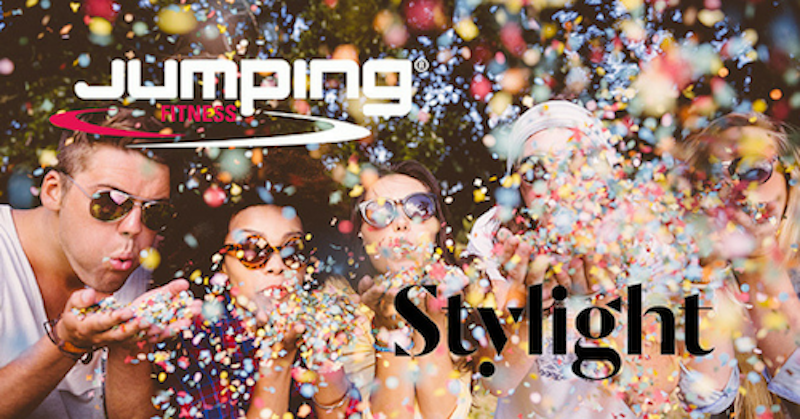 Jumping Fitness goes to Munich! Both were invited by our cooperation partner Nautilus Fitness for joining a Jumping Fitness session. 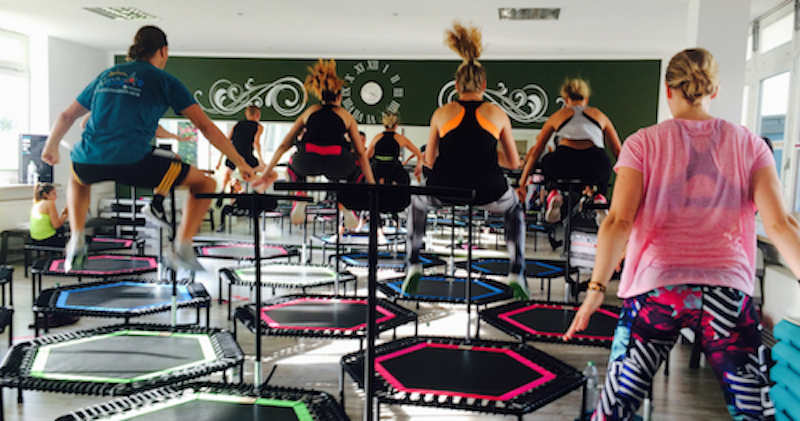 Jumping Fitness trainer Dana Ferenc showed all participants how intense and exhausting but great Jumping is. Power woman Dana supported us actively on our convention stage in Erding at Pure Emotion DFAV – Convention. And everyone who watched Ninja Warrior Germany, could spot her and her son. We just know her as total power lady with a lot of energy when doing sports and especially Jumping Fitness. So Larissa’s and Denise’s first Jumping class was of course just as energetic and exhausting. Dana offers a complete program for every single muscle in the body. Here you have an insight into Larissa’s and Denise’s first Jumping experience (in german).